The pipe bands are what make a Scottish event so special. The unique sounds of the bagpipes fills the air as dozens of bands converge from all around New South Wales at the Aberdeen Highland Games. 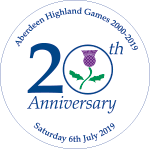 Each band performs multiple routines on the day competing for The McMullin Shield for the most outstanding band, the Scottish Australian Heritage Council Trophy, the Celtic Warriors Ceremonial Sword, and the Aberdeen Highland Games President’s Perpetual Trophy. Under the expert direction of the Drum Major of the Day, the bands come together as one at the opening and closing ceremonies, creating a mass band of hundreds of pipers and drummers in a truly impressive spectacle that should not be missed. Armidale Pipe Band, City of Blacktown, City of Newcastle RSL Pipe Band, Cessnock RSL Pipe Band, Clan MacLeod Pipe Band, Coffs Coast Pipes & Drums/NSW Highlanders, Dubbo Pipes & Drums, Hills District Pipe Band, Lithgow Highland Pipe Band, Manly Warringah Pipe Band, McEwan Pipe Band, Maitland Pipe Band, Moree Caledonian pipe band, Plains Pipes & Drums, Scone RSL Pipes & Drums, Singleton/Hornsby/Conobalas Pipe Band, Sydney Thistle Pipe Band, Tamworth & District Pipe Band, The Drum Line, The Pipe Band Club, Tullibardine Pipe Band, United Mineworkers Pipe Band, and the Wingham Services Pipe Band.